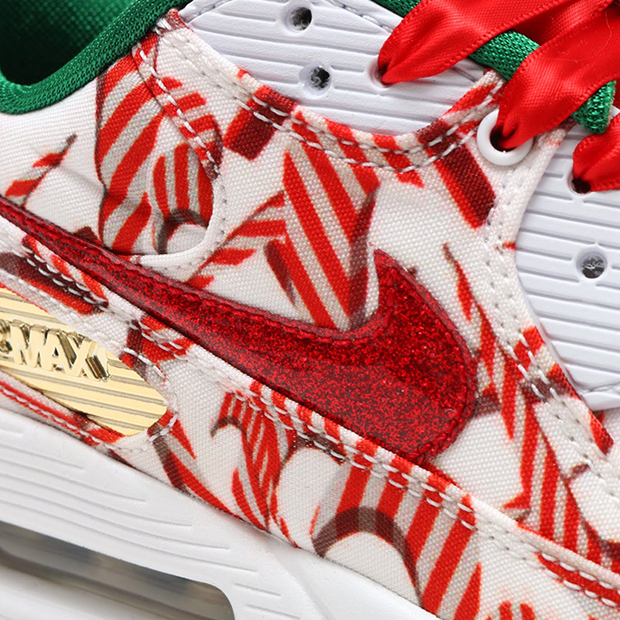 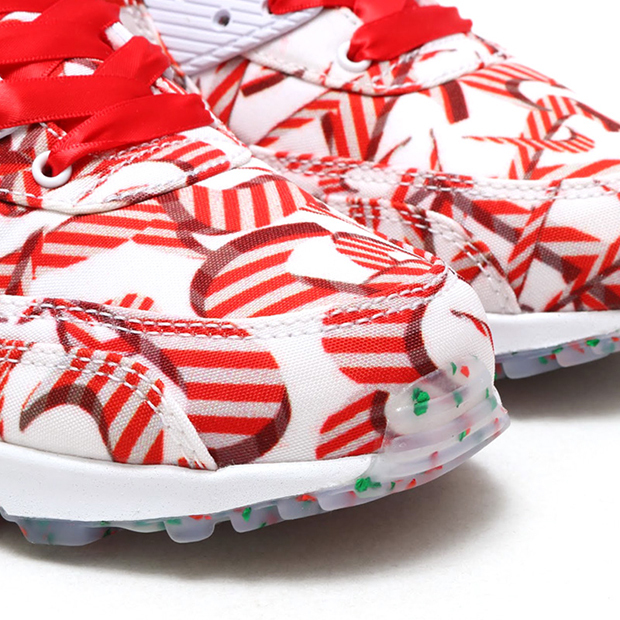 Candy-cane Swooshes for Holiday 2015? 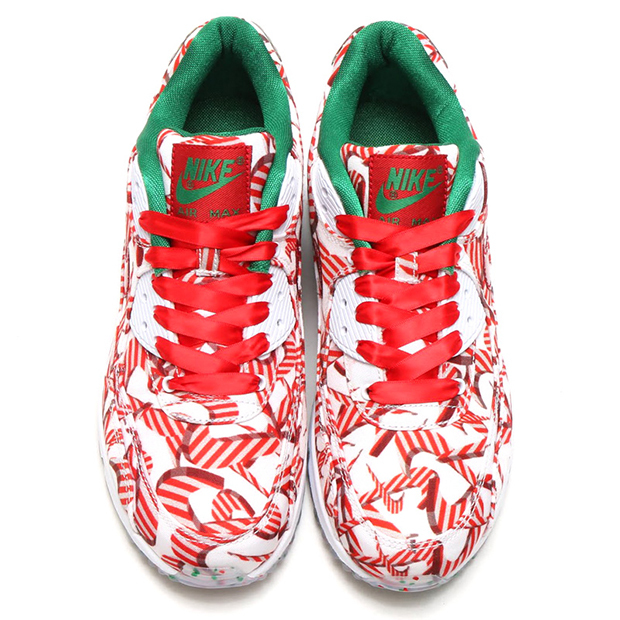 Nike went there. 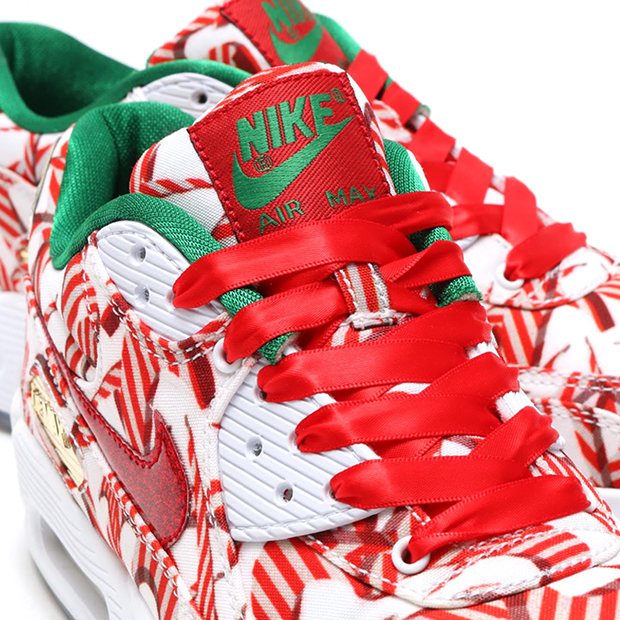 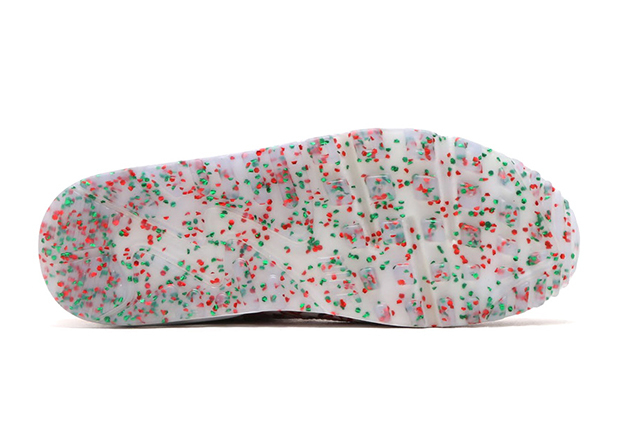 The latest women’s exclusive Nike Air Max 90 nicknamed the “Misplaced Checks” edition features an array of Swooshes featuring 3D candy-cane finishes while an icy outsole is accented by a holiday-ready green and red speckling. 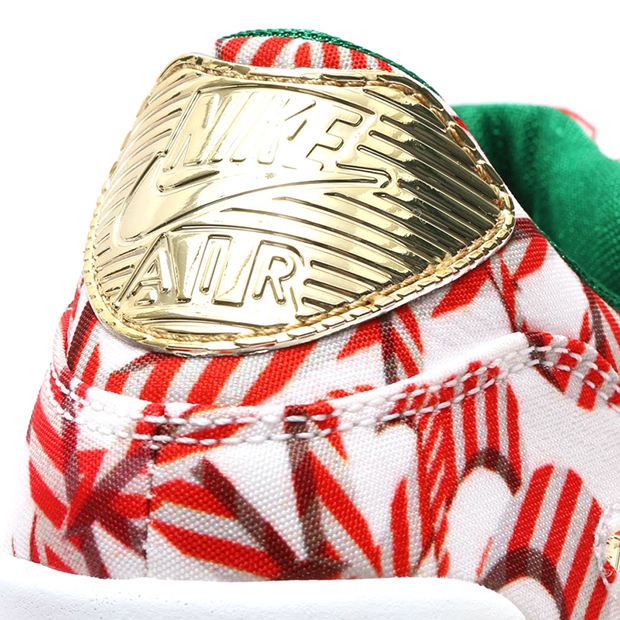 The green shade plays a muted role here on the tongue branding and inner lining while a perfect amount of gold foil lands on the ‘Air Max’ side panel branding and heel for a premium touch. 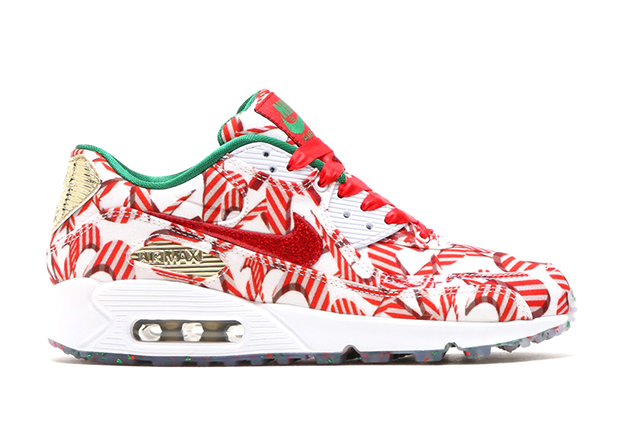 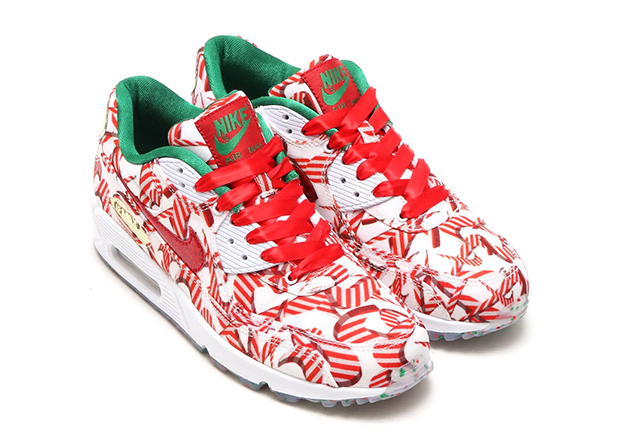 Do you usually partake in the festive holiday colorways pushed by each brand? 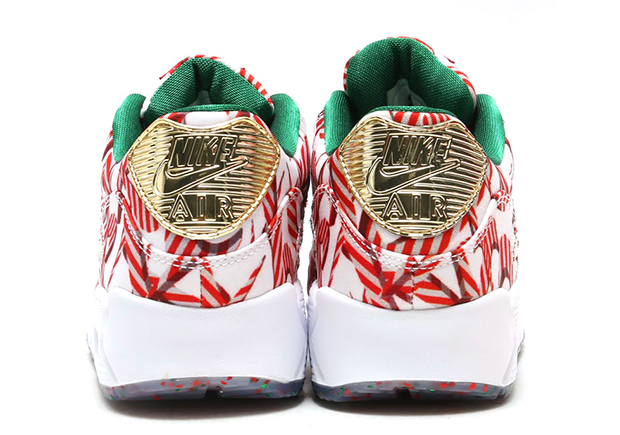 Check out more photos below and let us know if you’re a fan of the latest AM90 by taking your thoughts to our comments section.